Seeds of Hope – Orthodox Christian Healing and Counseling – hopes to change how things were done in the past. All too often the ecclesiastical harm inflicted by clergy to their fellow Orthodox sisters, and brothers (and children), was proverbially “swept under the rug.” This led to a massive erosion of trust, to widespread cynicism, to jurisdictional divisions and to court battles that are costing multi-millions of dollars. It no longer needs to happen that way. At Seeds of Hope we hope to be a resource for those persons – and their families – who have experienced the pain and suffering of ecclesiastical abuse in the Orthodox Church. Instead of seeking help from outside secular sources, Seeds of Hope offers the care and needs by Orthodox Christian counselors in order to be fully reconciled back to a community of faith. Some of those who have been harmed may feel that it is in their best interests to pursue litigation. This is entirely within their rights. We believe, however, that many would rather not go to the courts. Rather, we believe they can find justice through healing, reconciliation and if you choose, the canonical tradition of the Orthodox Church. As such, Seeds of Hope – Orthodox Christian Healing and Counseling offers alternatives to what has become for so many, a long drawn out legal dispute that, in the end, does more harm than good because of the lack of closure. Seeds of Hope is nationally staffed by certified psychotherapists from around the country in order to help meet the needs of the harmed (see our Board of Directors and Advisors). Orthodox counseling support services are offered in different ways such as face to face or virtually by secured online video technology that is now emerging in the counseling field. Teleconferencing and virtual coaching can be more attractive for those seeking help. It offers a safe, comfortable environment while fostering a sense of anonymity that helps rebuild trust. The highest discretion, confidentiality, and sensitivity will be maintained. Seeds of Hope – Orthodox Christian Counseling and Healing will protect the identities and the content of counseling in accordance with laws pertaining to professional counselor/clinical-client confidentiality, as guaranteed by code of ethics of the American Counseling Association (ACA). 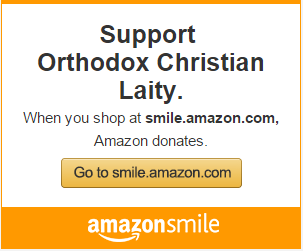 Orthodox Christian laity are needed now more than ever to join with us, Church leaders, and priests taking a role in addressing clerical abuse/exploitation of authority. Throughout Church history as disciples, following Jesus, approached the tomb and then proclaimed the Good News. 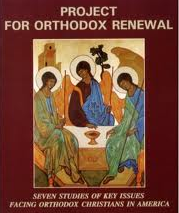 Surely the Good News must be heard loudly again resulting in a deepening of our Orthodox faith. THIS ARTICLE on SEEDS of HOPE, Orthodox Christian Healing and Counseling was presented very well. Thank you. I hope this counselling isn’t going to focus on such misapplication of forgiveness as empowers the victimizer and undermines victim willingness to go to court, if someone did something worthy of being deposed if hierarch or defrocked if a priest, and this is not even being attempted, neither the perp himself making public apology and self imposed vacation or penance, then there is no repentance. Counselling should focus on keeping on track with the sacraments without having to trust the priests or whoever, focus on Jesus not on persons of humans who play an iconing role. clergy come and clergy go, but Jesus Christ remains. Indeed, clergy will come and go. Jesus Christ is evermore! Seeds of Hope, OCHC’s sole commitment is to guide our sisters and brothers in Christ who’ve been harmed or betrayed through clerical abuse. Our dedicated Orhodox therapists offer their expertise to help a client heal and reconcile from this trauma. Through our process it is our hope, their mind and spirit can be renewed in faith. Evan one day back to Church. Be assured, therapy provided by SEEDS of HOPE, OCHC, http://www.orthodoxchristianhealing.com, does not exclude any choices a client may choose at anytime of their therapy. Surely you would agree, heaaling within must come first! With our love In Christ.